St. Peter’s School is celebrating its 150th Birthday this year, and everyone is invited back home to celebrate at our All-School Reunion Weekend, August 3-5, 2018. As part of the weekend, we will be showcasing our major reunion classes ending in -3 & -8, but alumni from all classes are welcome to attend. It will be three days of fun and entertainment for the entire family. Across Mansfield, each class will be hosting their own social event. Based on some initial interest, members of the Classes of 1953, 1948, 1943 will be invited to participate in a “Goldenaires Reunion” luncheon at the Franciscan Activity Center. This will give these special classes the opportunity to gather during the day with their classmates. A great afternoon of fun for the entire family at Spartan Fields as we welcome everyone to our outdoor athletic complex. The Spartan Athletic Boosters will have the grill and concession stand open for lunch, and there will be bounce houses and games for the kids. At 11 a.m. the girls alumni soccer game will be held, followed by the boys alumni game at 1 p.m. If there’s interest, we could also see a pickup game out on the softball/baseball diamond. The church will be open to alumni and friends to tour the church and see the work being done during the historic renovation process. By August, the front half of the church will be completed, while work in the nave is underway. Deceased Alumni of St. Peter’s High School will be remembered at all Masses this weekend. Enjoy a buffet dinner with a cash bar and entertainment while you reminisce with classmates from your class along with friends from other classes at the All-School Reunion Dinner. Velvet Shake is far from your average party band. Voted as one of the top cover bands in Cleveland, we’re bringing their raw talent, high-energy stage presence, and national-class production to Mansfield! 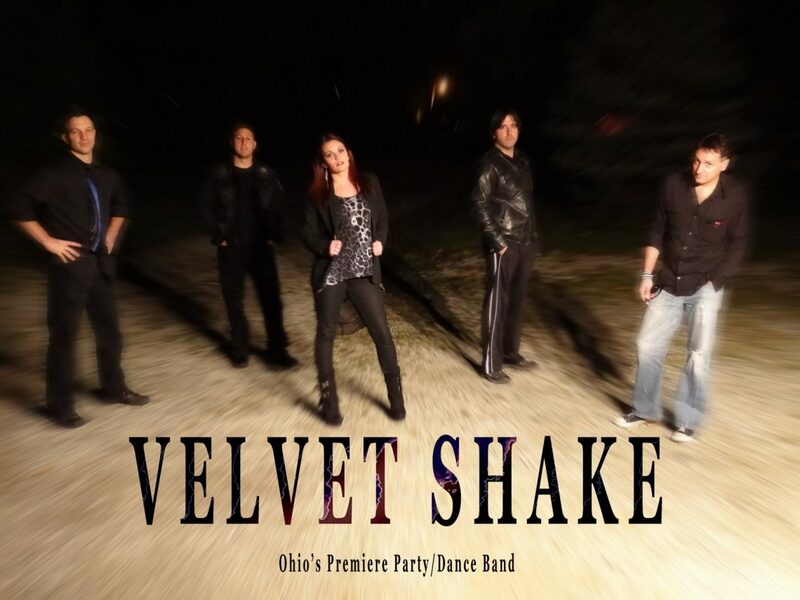 Velvet Shake has performed at the House of Blues, Hard Rock Rocksino, Cavs & Browns FanFests and many other venues. Mass @ 7:30, 9:30 & 11:30 a.m.
Campus Tours 8:30 a.m. - 1 p.m. The school buildings will be open for tours starting at 8:30 a.m. Coffee and donuts will be available after all Masses in the Robert Frye Gymnasium. Corner of N. Main & 4th St.